The U.S. Treasury market is widely regarded as the deepest and most liquid securities market in the world, playing a critical role in the global economy and in the Federal Reserve’s implementation of monetary policy. Despite the Treasury market’s importance, the official sector has historically had limited access to information on cash market transactions. This data gap was most acutely demonstrated in the investigation of the October 15, 2014, flash event in the Treasury market, as highlighted in the Joint Staff Report (JSR). Following the JSR, steps were taken to improve regulators’ access to information on Treasury market activity, as detailed in a previous Liberty Street Economics post, with Financial Industry Regulatory Authority (FINRA) members beginning to submit data on cash market transactions to FINRA’s Trade Reporting and Compliance Engine (TRACE) on July 10, 2017. This joint FEDS Note and Liberty Street Economics blog post from staff at the Board of Governors of the Federal Reserve System and Federal Reserve Bank of New York aims to share initial insights on the transactions data reported to TRACE, focusing on trading volumes in the market. To inform our approach in analyzing the TRACE data, we model the Treasury market in the figure below, dividing it into three segments: interdealer broker (IDB), dealer-to-dealer (DTD), and dealer-to-client (DTC). IDBs historically have intermediated trades between dealers. However, after IDBs introduced electronic trading platforms, they also eventually opened up to firms beyond the traditional bank and dealer community, notably principal trading firms (PTFs) which specialize in electronic and automated intermediation. The DTC space has evolved as well, with request-for-quote platforms, for example, enabling clients to solicit bids and offers from multiple dealers electronically. More recently, some PTFs have begun offering direct stream services to dealers, which feature live, continuous, executable prices, delivered electronically under bilaterally negotiated terms. Prior to the availability of the TRACE data, the official sector had limited access to information on the Treasury cash market. For example, the JSR offered a brief look at the electronic IDB space but not the voice IDB or DTC segments. The FR 2004 statistical release provides aggregate data on Treasury market trading activity only for primary dealers. 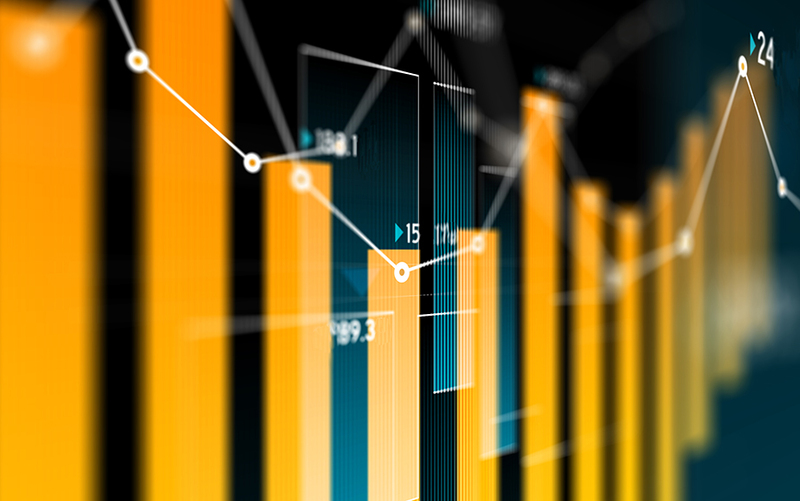 In contrast, FINRA’s TRACE data provide the official sector with detailed information on intraday transactions on an ongoing basis, covering a very large share of trading activity. FINRA collects data on Treasury transactions from its registered broker-dealer members through TRACE. The regulator requires its members to report within one day all transactions in marketable U.S. Treasury securities, which include bills, notes, bonds, floating rate notes (FRNs), inflation-protected securities (TIPS), and Separate Trading of Registered Interest and Principal Securities (STRIPs). The reporting obligation applies only to FINRA member firms and since most major broker-dealers and IDBs are members, most domestic Treasury market activity is likely reported into TRACE. Firms that are not FINRA members and that do not report through TRACE include banks, bank branches of dealers, PTFs, and buy-side institutions. FINRA members report the identity of the counterparty to a trade when the counterparty is also a FINRA member. When the counterparty is not a FINRA member, however, the transaction is reported as taking place with an anonymous counterparty. Thus, PTFs, banks, and buy-side clients are mostly anonymous in the data. Over the first year of reporting, daily average Treasury trading volume in TRACE data has been around $574 billion. This volume is roughly split between the IDB and dealer-to-client segments, with relatively little dealer-to-dealer volume (see the chart below). Average daily trading volume in the IDB market segment is about $269 billion, according to TRACE data. Roughly 70 percent of IDB volume occurs on electronic and automated platforms and 30 percent on voice and manual screen platforms. Most PTFs do not submit TRACE reports, yet based on assumptions used in the JSR, we can approximate PTF activity from reported non-dealer activity in TRACE. We estimate that PTFs account for about 62 percent of electronic/automated IDB trading volume, while primary dealers and other dealers account for about 78 percent of voice/manual screen IDB volume (see the table below). Taking the voice and electronic markets together, primary dealers and other dealers account for about 46 percent of total IDB volume while PTFs account for about 44 percent. In the DTC segment, dealers make markets in Treasuries upon request from clients, which include foreign central banks, mutual funds, hedge funds, pension funds, insurance companies, and corporations. The average daily volume in the dealer-to-client segment is about $269 billion. Primary dealers and other dealers play a more significant role in the DTC segment than in the IDB segment, participating on one side of essentially all trades. It is unclear exactly how much of the DTC activity is electronic as it is not identified as such in the data. The DTD market segment is the smallest, with an average daily volume of $36 billion. The DTD segment reflects trades in which dealers transact with each other directly, without intermediation from interdealer brokers. Historically, the DTD market has been used by dealers to facilitate large block trades from clients while minimizing information leakage, as well as by smaller dealers to engage with larger dealers for acquiring or divesting inventory or managing risk. The next chart shows trading activity shares across participant types for the Treasury cash market as a whole alongside total trading volume. Primary dealers and other dealers are the largest participants in the market, with about 51 percent share of overall trading activity. PTFs’ share is estimated around 21 percent and buy-side firms’ share is estimated to be around 28 percent. In general, this distribution of shares has varied little since July 2017, despite fluctuations in daily trading volume. The data confirm the predominant role of primary dealers in the Treasury market, consistent with findings from an earlier Liberty Street Economics post based on FR 2004 data. Although PTFs have established a very large presence in the electronic IDB market, as previously identified in the JSR, their share of the overall Treasury market appears to be smaller than their share of just the electronic IDB market. Voice and manual screen activity continues to be a meaningful part of the IDB segment, and the DTC segment accounts for roughly half the market. Doug Brain is a markets analyst in the Federal Reserve Bank of New York’s Markets Group. Michiel De Pooter is chief of monetary and financial market analysis in the Division of Monetary Affairs at the Board of Governors of the Federal Reserve System. Dobrislav Dobrev is a senior economist in the Division of Monetary Affairs at the Board of Governors. Peter Johansson is a policy and market analysis associate in the Federal Reserve Bank of New York’s Markets Group. Collin Jones is a former senior research analyst in the Federal Reserve Bank of New York’s Research and Statistics Group. Frank Keane is a senior policy advisor and a vice president in the Federal Reserve Bank of New York’s Markets Group. Michael Puglia is a senior technology analyst in the Division of Monetary Affairs at the Board of Governors. Liza Reiderman is a policy and market analysis associate in the Federal Reserve Bank of New York’s Markets Group. Tony Rodrigues is a senior associate for quantitative policy analysis in the Federal Reserve Bank of New York’s Markets Group. Or Shachar is an economist in the Federal Reserve Bank of New York’s Research and Statistics Group. Doug Brain, Michiel De Pooter, Dobrislav Dobrev, Michael Fleming, Peter Johansson, Collin Jones, Frank Keane, Michael Puglia, Liza Reiderman, Tony Rodrigues, and Or Shachar, “Unlocking the Treasury Market through TRACE,” Federal Reserve Bank of New York Liberty Street Economics (blog), September 28, 2018, http://libertystreeteconomics.newyorkfed.org/2018/09/unlocking-the-treasury-market-through-trace.html.